KuCoin is extremely proud to announce yet another great project coming to our trading platform. 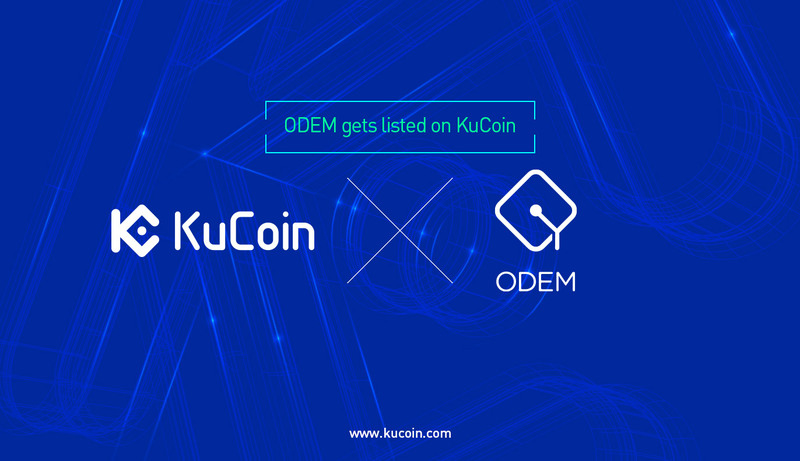 ODEM (ODE) is now available on KuCoin. Supported trading pairs include ODE/ETH and ODE/USDT. ODEM is an On-Demand Education Marketplace built on the Ethereum blockchain. The platform connects students, educators, and service providers where, together, they develop and engage in personal and group, in-person educational programs. The platform reduces costs and improves access to premium education by directly connecting educators with students and eliminating inefficient and costly intermediaries. Students and other education buyers can easily research and find the perfect curriculum from educators around the World. For educators, it increases their visibility among all education buyers, generates real-time feedback on programs, and pays incentives for development of relevant programs.